We've now published our suggestions lists of summer holiday reading for pupils (125 books) and for parents (click for the latter's 2010 and 2011 lists). Leading up to this, on June 7th we joined the New York Times Learning Network's #summerreading day on Twitter, sharing some books recommended by our Transition Year pupils. Meanwhile, here is a round-up of summer reading resources on the web, divided between Schools & Youth, and General Adult Readers; like our annual Books of the Year lists (2011, 2010), it will be frequently updated. Any other lists? Please Comment below, or tweet us @sccenglish. A great reading flowchart of 101 books, from Teach.com. The Guardian: Children's summer reading, including suggestions from distinguished authors such as Michael Morpurgo, who recommends The Secret Hen House Theatre by new author Helen Peters. School Library Journal - summer reading suggestions from authors and illustrators (including Mitali Perkins - Habibi by Naomi Shihab Nye). The School Library Journal: the value of summer reading programmes. 'Creating a Summer Reading Network' from Andrew Marcinek on Edutopia, and also 'How to Inspire Your Students to Read this Summer' by Rebecca Alber. The New York Times Learning Network invites suggestions from young people aged 13+. Another one from the New York Times Learning Network - their 3rd annual Summer Reading Contest runs from June 15 to August 17, and concentrates on non-fiction and informational texts. International Reading Association: the 2012 Young Adults' Choices list (PDF). ReadWriteThink: 'Bright Ideas' to combat the 'summer slide'. Summer Reading from NYC Libraries- lists for all ages. NPR: Teen Reads for this summer - five books on friendship. National Endowment for the Humanities: a particularly helpful list for parents, starting with kindergarten books. For older children, David Almond's Skellig, for example. 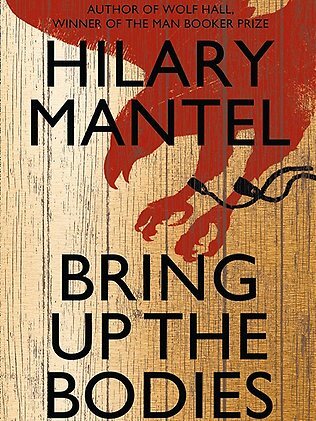 English Companion Ning for English teachers: 'What Are You Reading This Summer?' forum discussion (requires login). Huffington Post: Devon Corneal's Summer Reading: Books for Kids of All Ages (divided into boys/girls, and picture books for each). LA Times: Summer Reading Guide for Young Adult & Children (hover over book covers for descriptions). 4th Graders from the Dalton School make their summer recommendations. The Boston Globe: Young readers' (non-required) summer books list (including Morgan Matson's Second Chance Summer - "warning - tissues recommended"). Chadwick School Library Middle and Upper School Summer Reading 2012: well-presented recommendations. Lots of choice from William Fremd High School. The Seattle Times: Reading fun in the sun for children, teens and young adults. James Patterson's list for 'Tweens and Teens, 11-up'. The Horn Book: Summer Reading Recommendations for ages through to high school (including Marie Lu's "Hunger Games read-alike" Legend). London Independent: 50 Best Summer Reads (including Bed by David Whitehouse). The Irish Times: 30 Great Summer Reads (including Elizabeth Taylor's Complete Short Stories). Financial Times: Books of the Year so far, include Shalom Auslander's comic novel about Anne Frank, Hope: a Tragedy, and Jubilee Lines: 60 Poets for 60 Years, edited by Carol Ann Duffy. The Guardian's Biggest Novels of 2012 include Anne Tyler's 19th novel, The Beginner's Goodbye. As a follow-up, readers suggested great short story reading for summer. The Observer asked writers which books they would download in e-form, and which take away on holiday in their print form: answers include Skios by Michael Frayn (the poet Wendy Cope and the film critic Philip French), and Billy Lynn's Long Halftime Walk by Ben Fountain (Rachel Cooke, critic). NPR: 15 books chosen by independent booksellers (including Jeanette Winterston's new memoir Why Be Happy When You Could Be Normal?). NPR: new releases this summer, from three critics. Includes Richard Ford's new novel Canada. New York Times: Books for Basking, including Don Winslow's The Kings of Cool. LA Times: Summer Reading Guide, with Beach Books (including John Lanchester's Capital), History and Biography, Lifestyle, Quirky and Audio (hover over book covers for descriptions). The Toronto Globe and Mail: Sandra Martin's 'sizzling summer reads': one reader 'peeks over' her son's summer reading list and chooses from that - this year, The Kite Runner by Khaled Hosseini among others. London Evening Standard: Best books for summer 2012 - the top holiday reads, including Madeleine Miller's Orange Prize-winner The Song of Achilles. With other sections: The winners for older children, The best books to awaken the imagination of younger readers, The classiest crime and Pick of the Paperbacks - lots of good suggestions. Chron.com's 'ultimate summer book list' includes Hilary Mantel's Bring up the Bodies, sequel to her Booker-winning Wolf Hall. CNN : 10 Titles to Watch For include Bring up the Bodies again, and Ben Fountain's Billy Lynn's Long Halftime Walk, a debut novel set in Iraq. JS Online has a very good list of 99 summer book recommendations, including Laurent Binet's HHhH, certainly one of the best titles of the year. The ever-excellent Brain Pickings from Maria Popova features 10 Essential Books for Cognitive Sunshine including a beautiful children's picture book, Germano Zullo and Albertine's Little Bird. The Seattle Times: 10 non-fiction books to last the season includes Ben McIntyre's new Double Cross: the true story of the D-Day spies. 'Doorstep Novels' for the summer from BookPage, including Chad Harbach's The Art of Fielding. OnPoint's Great Summer Reads, including Ann Patchett's well-received State of Wonder. Huffington Post: 5 thrillers for the summer. Wired: 11 Sci-Fi and fantasy books. Sports books from The Scotsman. Deep South magazine: best summer reads from the area. Daily Telegraph : Summer Reading Special - well-known figures make their choices, including England football manager Roy Hodgson, who goes for two books by Stefan Zweig, including his haunting Beware of Pity. Also, authors including Diana Athill and Geoff Dyer make their choices, including Jan Morris going for Montaigne's Essays, "torn into handy segments to use while soaking in the bath".